It is again time to harvest the yield of the roses. This means hard work for the natives and a lots of beautiful emotions for them and for the numerous guests from all over the world, starting with the Japanese. To some of you I have talked about this marvelous time, about the magics of the Bulgarian Rose, Rose Damascena, cultivated in the valleys between the two mountain chains in the middle of my home country – the Stara Planina (Old Mountain) and the Sredna Gora (Middle Forest). 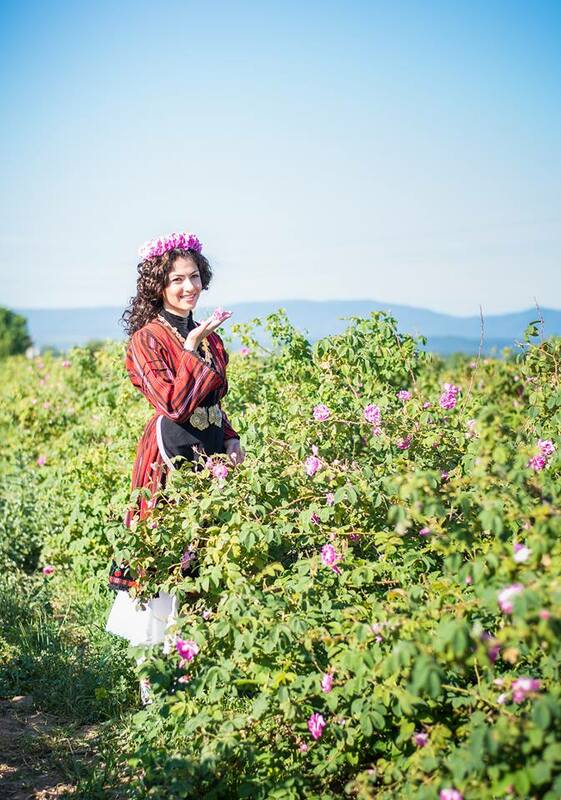 Yes, I am addicted to the roses – being a daughter-in-law in the town of Kazanlak for the last 15+ years it is not possible to be otherwise. Herewith I would like to invite you to book some time in your calendar – a couple of days in May (second half) or begin of June. To visit some of the villages or towns along the road from Sofia (the capital, where there is lots of business) to Bourgas (major port on the Black Sea coast) – and to present to yourself the magics of this fragrance and beauty of the Bulgarian Rose. Nowadays, almost every village and town – where there are rose gardens – makes its own local festival. The biggest and oldest, the Festival of Roses in Kazanlak takes place in the first weekend of June – this year this means on 3-5 June. The cultural program is in fact a very rich one, lasting for several weeks, culminating with ceremony with Queen Rose and rituals of rose harvesting and rose oil yielding. So proud of Nadezhda, the village mayor and the patron of the local 130 years old Chitaliste (the Bulgarian point of culture and traditions), and her team, of all the women and men, who manage to live their hard agricultural life and to keep the high spirit of the ancestors and to preserve the treasure of traditions for our children! If you can afford it to come and feel the atmosphere of the Rose Festival, please do it! Please kindly note, the local Rose Festival in the Village of Gorno Izvorovo is this Sunday, 29 May 2016. And please don’t forget to ask for some rose buds – to take with you – they are fragrant, good for the health and for the soul. Enjoy!